We offer exceptional dental care services and expertise to clients with dental and oral health problems. We provide all forms of general dentistry, oral surgery, fixed and removable prosthetics, implants, orthodontic care, cosmetic procedures and emergency care using the latest techniques and equipment. It is a standard procedure in our clinic that we provide full diagnosis of our client’s dental health and complete personalized treatment plan right on your first consultation visit. This is our way of offering high quality dental care in a manner that is both easily understood and accepted by clients of all ages. 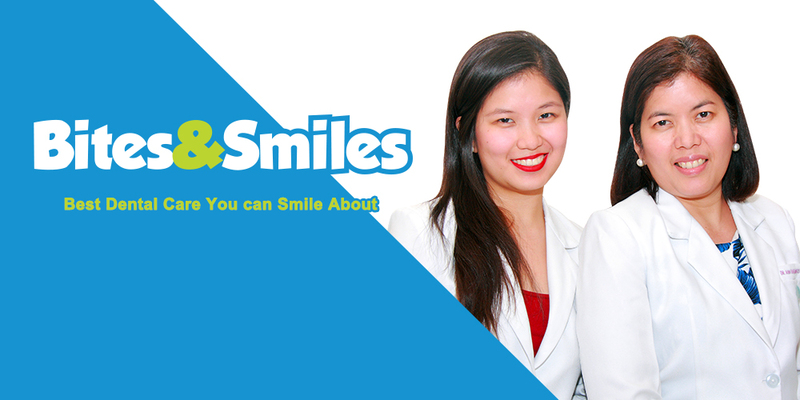 Bites & Smiles Dental Clinic is located at 822 Arnaiz Avenue, Makati City, Philippines. Visit Bites & Smiles Clinic and experience the Best Dental Care you can SMILE about! Subscribe to receive the latest updates on dental topics.